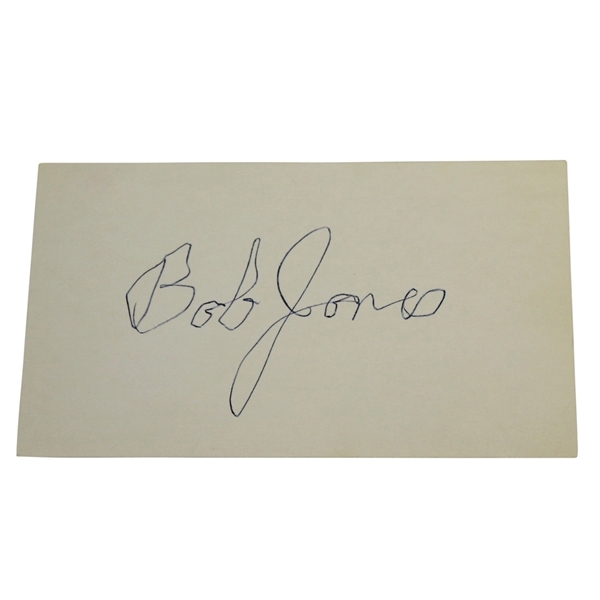 The name Bobby Jones will catch the attention of any golf collector. Jones was one of the most influential figures and a pioneer in golf history. Although he remained an amateur for his entire career, his accomplishments superseded those of professional level golfers. Among his accomplishments is the ever famous Impregnable Quadrilateral, know today as the Grand Slam. He was also the most successful amateur golfer to compete at both the national and international levels. In 1930, Jones retired from play, but wasn't finished leaving his mark on the game. He went on to be the founder Augusta National Golf Club with the help of Clifford Roberts, Alister MacKenzie, and George Cobb. 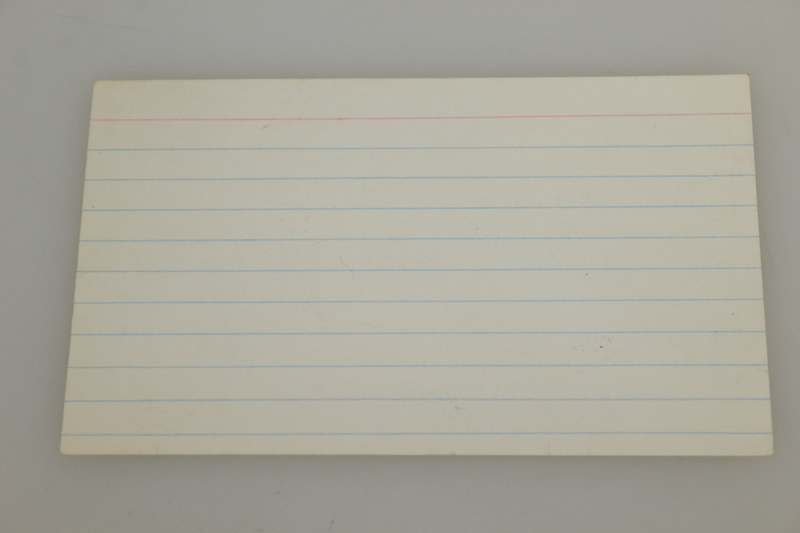 This led to the creation of the Masters. 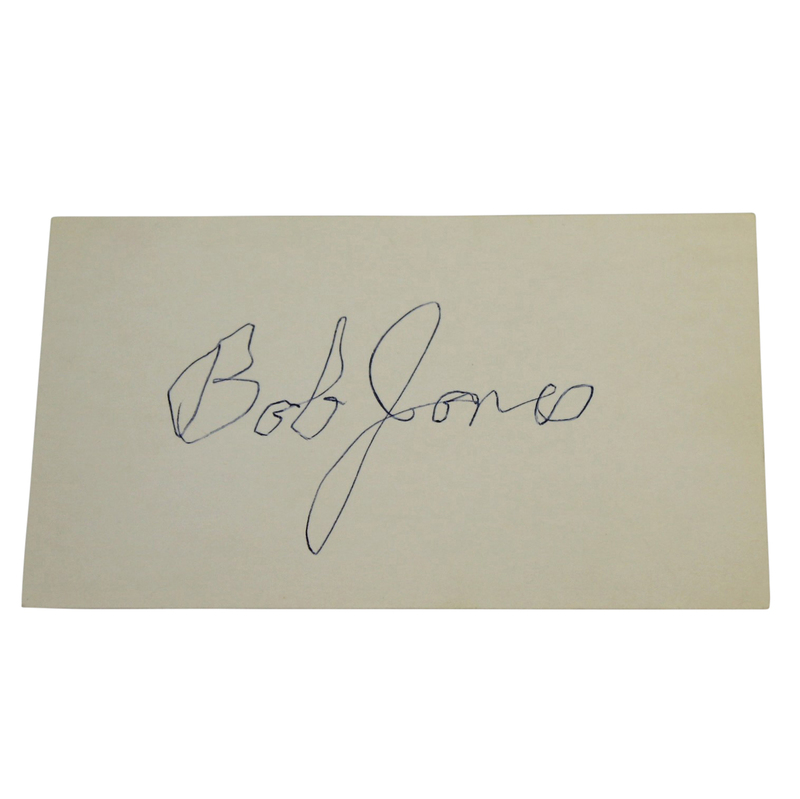 This lot contains a signed 3" x 5" index card containing the signature of "Bob Jones".